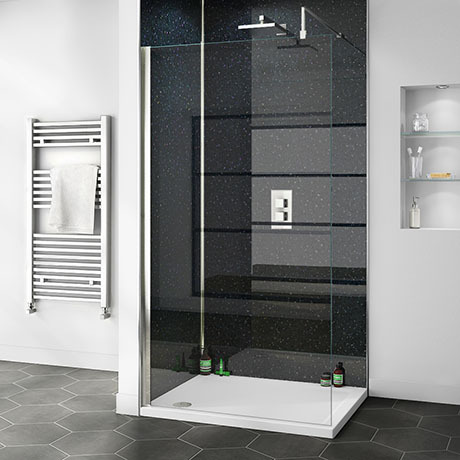 A strong and durable Black Diamond Galaxy patterned shower wall panel, an ideal alternative to tiles. Convert your walls into a galaxy of twinkling stars or create a dazzling bathroom space with a modern sparkle, contains mirrored flecks that sparkle and glisten. You can instantly create a shower area using just two panels, saving valuable time and money. Offers you a quick and easy cleaning experience, they are hygienic, totally waterproof and simple to fit.